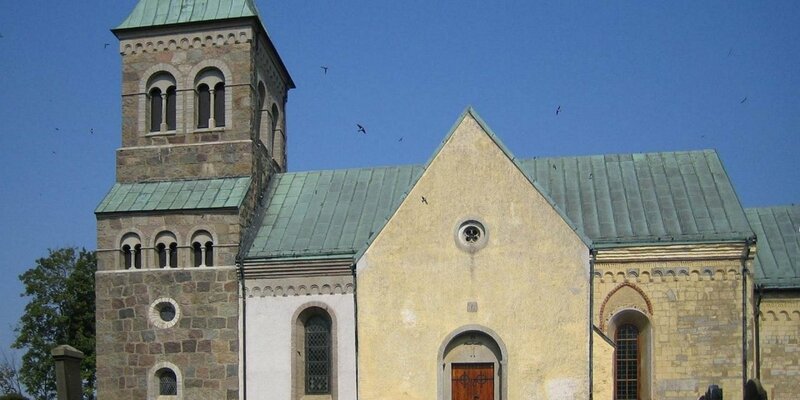 Sankta Maria Kyrka in Ystad is the main church and the oldest building in the city. 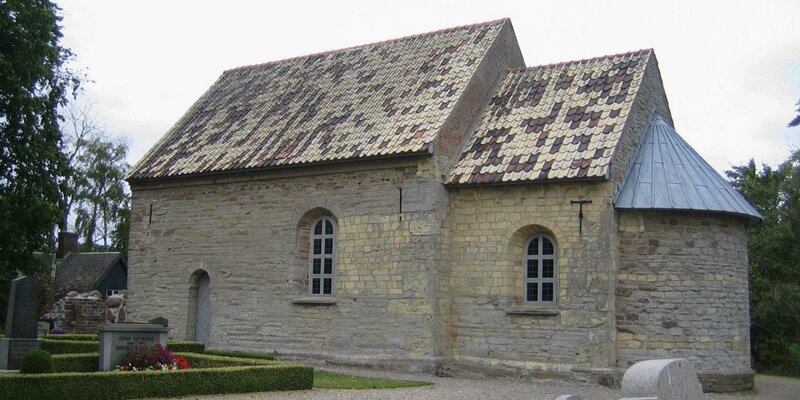 It was built around 1200 as a three-nave Romanesque basilica and was extensive altered in 1830. The watchman in the church tower is unique in Sweden. He watches from the top over the whole city every night. After the inside of the church was radically changed through a renovation in 1886, these changes could made undone later. 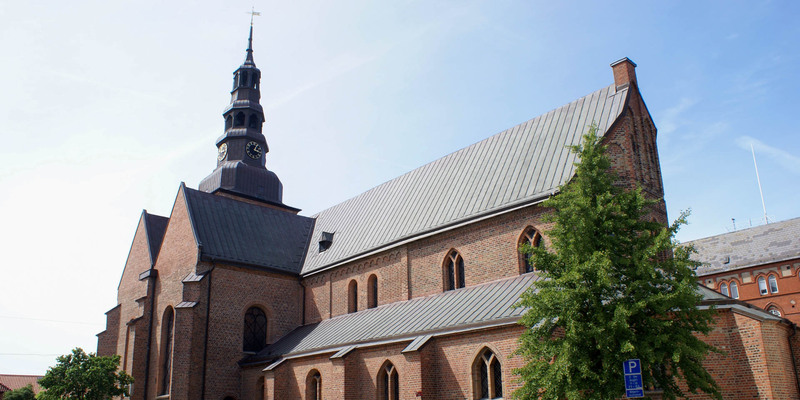 Since 1924 the interior of the Sankta Maria Kyrka has the appearance like it had in the late Middle Ages, with the old pews, grave stones, epitaphs and other wall decorations. The limestone pulpit, for example, is one of the most elaborate stone carvings of the baroque in Skåne and was made from 1626 to 1631. The woodcarver Johan Jerling required 13 years from 1718 to 1731, for the completion of the magnificent attachment on the main altar. The old medieval altarpiece, a German work from the 15th century, made of painted and gilded oak, is located in today's baptistery. 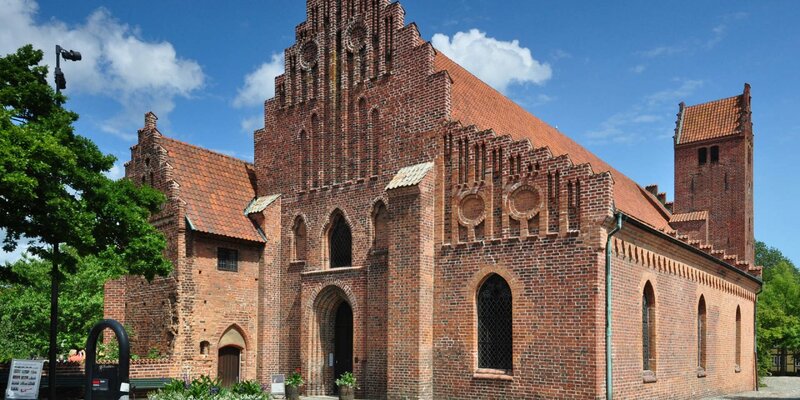 Ystad is the only city in Sweden where the tradition of a watchman (Tornväktare) had survived. Since the 17th century, a guard watches over the city from the tower of Sankta Maria Kyrka every night. Every quarter of an hour he is blowing a horn in all four directions. During the summer months the guard performs its service from 21:15 to 3:00 and in winter from 21:15 to 1:00.